The Country Music Association has got everyone talking about their all-star, Forever Country tribute video, and for good reason: it’s the most beautiful, ambitious, awe-inspiring video of all time. Yes, I said it, of all time, in all genres. There have been some amazing music videos through the years, some gimmicky, others technically unconventional. But none matches the power and poignancy of Forever Country. That’s because the biggest moment in this star-studded mash-up belongs to a singer who makes no sound. Forever Country checks off many boxes: it’s a stylish elegy to the singers and songs that compose the soundtrack of our lives; it’s a vibrant photo album of American landscapes; best of all, it’s fun to watch! I dare you to hold back the shout outs when your favorite artists, 30 in all, appear: It’s George Strait! There’s Tim McGraw! Little Big Town! Martina! Willie Nelson under the Eiffel Tower?! But the finest moment materializes in a black and white flash at the 52 second mark: the incomparable Randy Travis seated alone, silent. The intensity, the dignity, the raw presence of this country music legend is communicated with just a sideways glance. Blink and you’ll miss the man who, in the mid-80’s, took New Traditional country music to its apex, a tour de force who led a new generation of fans to the alter of country music. His presence in Forever Country was as inevitable as the musical maelstrom he unleashed 30 years ago when his debut single, “On the Other Hand,” dropped. His earnest ballad, a lover’s list of reasons not to cheat, sounded like nothing else on the radio dial. His cavernous, unapologetically country-true voice was the perfect counterpoint to the vanilla, pop-styled sounds dominating country music charts. Randy was the real deal. He sounded country, looked country and talked country; there was not a rhinestone within 100 miles. His voice was a mellifluous river of sound, a seductive deepness that won over millions of Americans to country music. But he transcended labels. When Randy sang about hollers and honky tonk moons he made country cool, never corny. Just ask the millions of insatiable fans who drove his first six studio albums into platinum-plus chart topping territory. Or, the untold number of newlyweds who made his love song, “Forever and Ever Amen,” from his sophomore album, “Always and Forever,” a dance floor staple. I think every once in a while country has lost its way, but found its way back. It’s always going to drift away from the traditional side, but then find a way to return. There’s room for all kinds of influences be it pop, blues, gospel or whatever. But I will always say that I think we need more traditional country music coming down the pike,” said Randy (azquotes.com). Critics group Randy’s music with other New Traditional acts like bluegrass-inspired artists Keith Whitley and Ricky Skaggs. But spiritually he is more like Country Music Hall of Famer Don Williams: a storyteller whose commanding voice makes you believe that his song was written just for you. Ironically, “Storms of Life,” the title of Randy’s triple-platinum debut album now describes his day-to-day reality. Life has a strange sense of humor: Absent from the Forever Country video is Randy’s once-in-a-generation voice, silenced into submission by a stroke in 2013. For the last three years Randy has endured continuous rehab. He’s fought to regain limited movement, and he can now walk with a cane. His overall progress is slow but steady. He remains a vital part of country music, and the industry rightfully continues to support and appreciate him. In 2015 he was asked to appear at the ACM Award Show and at the Grand Ole Opry. He also married his longtime fiancé Mary Davis. In 2016 he spoke a couple of words at the Country Music Hall of Fame Induction press conference before letting his wife relay his gratitude for receiving the lifetime honor. Also in 2016, the Country Radio Broadcasters recognized Randy with their Artist Career Achievement Award. Randy Travis has earned every award and accolade the country music industry confers upon him. For decades he produced hit after hit. In the business world a worker is recognized for his contribution to the bottom line and the company brand, it’s expected. But devotion and loyalty are not givens. That’s why it’s so uplifting to witness the inclusion of a man who can no longer make music, in the Forever Country homage. Randy’s presence is as inspiring today as it was in his heyday. He will be forever country, forever and ever amen. 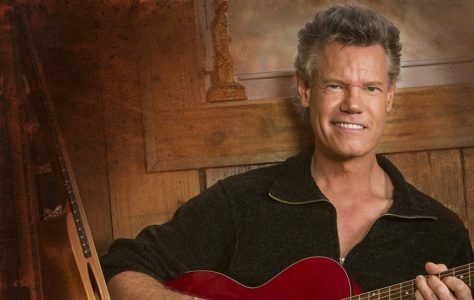 To keep up with the latest news about Randy Travis, be sure to check out his website and follow him on Facebook and Twitter.